This will allow you to view any door before you buy. 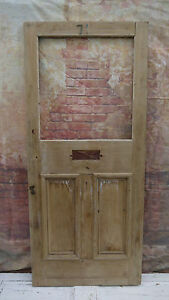 This is an original period pine door suitable to glaze. This is an external period door and it would grace any period property. Overall condition is excellent.